We Are Strong Believer of Cryptocurrencies and Blockchain Technology Our mission is to increase awareness of people about cryptocurrency blockchain technology. Only 6% of the world population knows about “Cryptocurrency.” With the support of our partners, and with the programs and the strong leadership in this organisation, we will be able to help and reach out to the masses like never before. Omnia Tech – Genesis Mining Bitcoin Cryptocurrency Earning Results? Omnia Tech is a platform that promises to make mining easy. Find out how it works today in our Omnia Tech review. Omnia Tech is a mining company that offers lifetime mining contracts and daily payouts. You buy into the company, then receive a share of mining profits. The company has “partnered” with Genesis Mining (although basically, it seems Omnia Tech just uses your money to purchase Genesis Mining contracts; there’s no evidence that Genesis Mining knows Omnia Tech exists). You can find the Malta-registered corporation online today at OmniaTech.eu. The company appears to be run out of Austria. They don’t appear to maintain any mining infrastructure on their own. At first glance, Omnia Tech may seem like an ordinary cloud mining company. However, if you’ve looked at other cloud mining companies, then you know the industry is filled with scams and MLM-style opportunities. When you dig a little deeper into Omnia Tech, you’ll find that it does indeed have a multilevel marketing structure where you earn money by referring new people to the platform. Of course, just because Omnia Tech has a multi-level referral system doesn’t necessarily mean it’s a scam. We’ll take a closer look at how the company works below. How Does Omnia Tech Work? Omnia Tech works in a similar way to every other mining company. You sign up for the company, pay a fee, and then start earning mining profits. Three payment methods are available, including VISA, MasterCard, and bitcoin. Omnia Tech claims to have partnered with Genesis Mining, one of the cryptocurrency industry’s leading hashpower providers. The company offers small and large plans – you can sign up for as little as $100, or jump into the “Elite Miner” plan for $25,000. The mining system is designed to be easy to use. Omnia Tech caters towards beginners – so even if you know nothing about cryptocurrency or mining, you can earn mining profits with Omnia Tech. After you sign up for a plan, you automatically start to receive mining profits. It’s that easy. Every 500 days, Omnia Tech will reinvest 50% of your hash power. That’s the reason why Omnia Tech can offer lifetime contracts: when your contract becomes unprofitable, Omnia Tech will automatically assign your hash power to other profitable altcoins. Aside from the mining subscription plans, Omnia Tech doesn’t offer any products or services. It’s exclusively a company built around memberships and mining contracts. Omnia Tech’s website mentions just one member of the company, a man named Thomas Hintermaier. He’s listed as the Chief Technology Officer of Omnia. The website describes Thomas a “a notable and experienced expert in technology”. He’s spent most of his career in quality management and production planning. According to research from MarketingXtreme.net, Thomas may not actually own the company. The Omnia Tech website lists Thomas as the sole executive, although his social media profiles do not list him as the owner. The owner of Omnia Tech is never disclosed. The only other “clue” is that the Omnia-Tech.eu domain was registered on July 31, 2017. The domain lists Christian Michel Scheibener as the owner using the same corporate address in Malta we see on the official website. Scheibener describes himself as a “leading MLM headhunter”. He was heavily promoting Wor(l)d International over the past few months. Although Omnia Tech is registered in Malta, it appears to operate out of Austria. In any case, there’s limited transparent information about Omnia Tech or its management team available online. When you buy into the mining plan, you purportedly earn ROI every day. The ROI differs according to the type of currency being mined. It appears that Omnia Tech doesn’t actually mine anything on its own: the company uses your money to purchase mining contracts with Genesis Mining, then shares profits with you. Omnia Tech lets you choose to mine Bitcoin, Ethereum, Ethereum Classic, ZCash, and Litecoin. As mentioned above, Omnia Tech has a type of multilevel marketing structure where affiliates earn 10% of the funds invested by affiliates they personally sponsor. Residual commissions are paid out through a binary compensation structure. The affiliate is at the top of the binary team, and the team splits into a left and right side. Omnia Tech claims you can use their structure to generate 40 cycles per day. Each cycle is worth $1,000, so that means you can potentially earn $4,000 per day. Affiliates also earn a matching bonus on residual commissions earned by downline affiliates. You earn commissions up to 4 levels of referrals. Like other MLM schemes, Omnia Tech also has monthly turnover bonuses and rank achievement bonuses that sound attractive – but are virtually impossible to achieve. Omnia Tech is a weird opportunity. You give the company a bunch of money. Then, they claim to buy Genesis Mining contracts on your behalf. 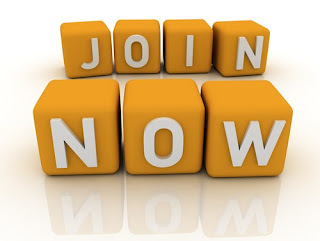 You earn guaranteed daily ROIs from mining activity, and you continue to hold that mining contract for life. Omnia Tech also has a multilevel marketing-style commission structure where you can earn up to $4,000 per day. However, there are some problems with Omnia Tech. Genesis Mining offers contracts that are significantly cheaper than Omnia Tech. No, they’re not lifetime contracts: they’re one or two year contracts. That may seem like Omnia Tech is a better deal. However, there’s no evidence that Omnia Tech will exist in one or two years from now – so you shouldn’t give the company $25,000 for a lifetime contract today, or even $100 for a lifetime contract. In any case, Omnia Tech appears to be attracting users who are new to the cryptocurrency world but interested in making a profit. There’s limited evidence that it pays out, and there are no reviews available online at this time. You can learn more about the company online today at Omnia-Tech.eu. Learn more: Who is Satoshi Nakamoto? Satoshi Nakamoto was a pseudonymous developer that published a paper describing the Bitcoin protocol in detail via the Cryptography Mailing List in November 2008 and released the first version of the bitcoin software client in 2009. The software was released as open-source and the original paper can be found on the bitcoin.org website here. Nobody knows if Satoshi Nakamoto was a male, a female or a group of people (or even a government organization) though many theories exist. The last time anybody heard from him was in the spring of 2011 when he posted a message saying he had moved on to other things. Until that time he was part of the project development team, however by the end of 2010 he had all but disappeared. Some people say that it isn’t important who he was and perhaps it is good that there is so much mystery because it keeps the focus on the technology and not on the people behind the technology. Whoever he was, he, she or they were responsible for inventing the Bitcoin protocol. It does sound Japanese. In fact in Japanese “Satoshi” means “clear thinking, quick witted or wise“. “Naka” can mean “medium, inside, or relationship”. “Moto” can mean “origin”, or “foundation”. Those things would all apply to the person who founded a movement by designing a clever algorithm. Some people have interpreted his name as meaning “Central Intelligence” and concluded he must have been working for the government. However, perhaps it doesn’t matter. Core developer Jeff Garzik puts it succinctly. Learn more: What are the Advantages of Bitcoin? Learn more: What are Crypto Currencies? Learn more: What is Bitcoin? cryptocurrency mining and digital currencies Bitcoin, Ethereum underlying technology blockchain. We Are Strong Believer of Cryptocurrencies and Blockchain TechnologyOur mission is to increase awareness of people about cryptocurrency blockchain technology. Only 6% of the world population knows about “Cryptocurrency.” With the support of our partners, and with the programs and the strong leadership in this organisation, we will be able to help and reach out to the masses like never before. Bockchain technology seems to be the buzzword of the day. Governments, entrepreneurs business people and banks, all have been paying attention and even allocating resources and investment to better understand and develop what sounds like the data structural holy grail of the future. Blockchain promises to produce a shift in the current computing paradigm because it has the potential to become the infrastructure catalyst for the creation of decentralised applications.Blockchain can be seen as the next-step evolution from distributed computing architectural constructs, to a global database of data and interfaces, integrating all kinds of machines and sources of data. But what is Blochain after all? 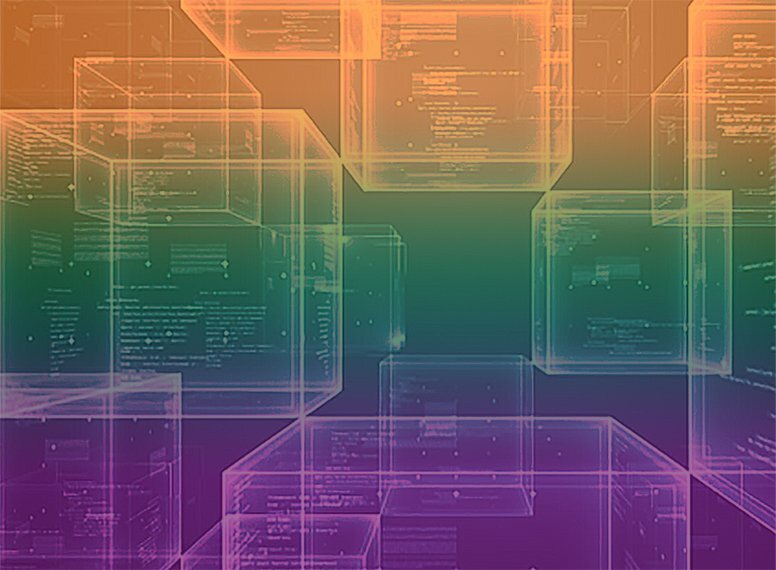 In this introductory guide we review 5 key concepts that explain what blockchain is and why it is so revolutionary. 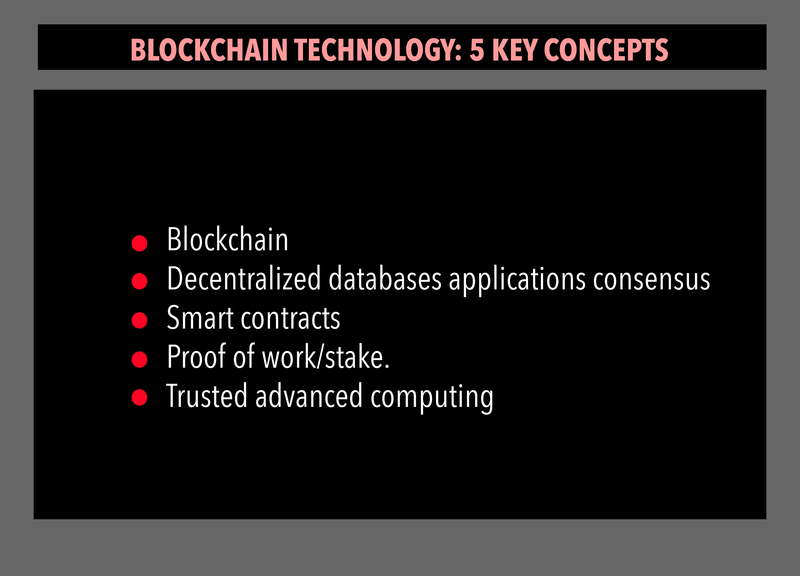 In order to understand well blockchain one needs to grasp the following five key concepts, how they interrelate to one another, and how they might provide us with a new computing paradigm. As we all know blockchain technology started with the bitcoin. Bitcoin is a a peer-to-peer electronic payments system, also known as a cryptocurrency, that allows people to make instant, anonymous transactions online. The unique characteristic of bitcoin is that it records every single transaction made on its network in a public record. This is known as the “blockchain”. A new blockchain is created every ten minutes. That blockchain is afterwards shared throughout the network. The chain is constantly growing, because each completed “blocks” is added to the public ledger. There are an infinite number of blocks on the blockchain, because as soon as one block gets completed, another is automatically generated. Each block though, contains a “hash”, which is a unique fingerprint of the previous code. Blockchain’s potential for the development of decentralised database applications consensus is based on the unique characteristics of the technology, as outlined previously. 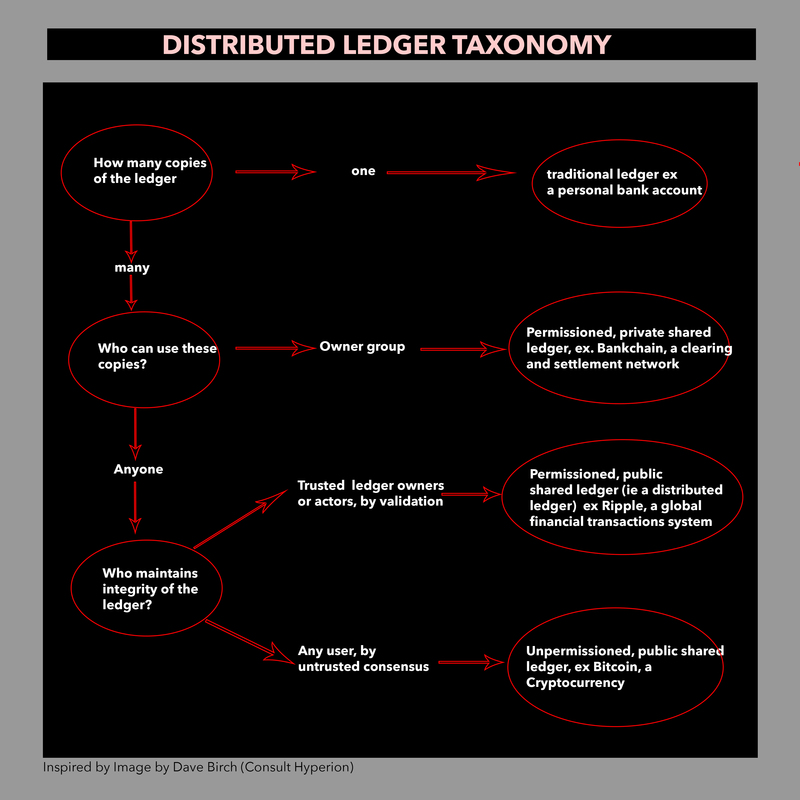 Another way to put it is to think of blockchain as a meta database where you store any data semi-publicly in a linear container space (the block). Anyone can verify that you’ve placed that information because the container has a given signature on it, but only the person that created that bloc or a program can unlock what’s inside the container because only that person holds the private keys to that data, securely. So, the blockchain is sort of a database, except that part of the information stored — its “header” — is available to the public. Here the public, of course, means a computer scientist or software engineer, knowing how to use it and how to access its APIs and different flows. William Mougayar, who wrote the book “The Business Blockchain” explains this with a great metaphor for Blockchain, which is how it is based on one’ s own home address. One can publish hers or his home address publicly, but that doesn’t give any information about what the home looks like on the inside. You’ll need your private key to enter your private home, and since you have claimed that address as yours, no one else can claim the same address as theirs. The value of decentralised databases applications consensus is enormous and it promises to disrupt the current ecosystem that tends to the monopoly. Companies like eBay, Facebook and Uber are very valuable because they benefit tremendously from the network effects that come from keeping all user information centralised in private silos and how they act as middle men taking a cut of all the transactions. Decentralised protocols on top of the blockchain have the potential to undo every single part of the stacks that make these services valuable to consumers and investors. They can do this by, for example, creating common, decentralised data sets to which any one can plug into, and enabling peer-to-peer transactions powered by bitcoin and other cryptocurrencies. A number of promising companies have already begun working on the protocols that will disrupt the business models of the companies above. One example is Lazooz, a protocol for real-time ride sharing and another is OpenBazaar, a protocol for free, decentralised peer-to-peer marketplaces. A scaled blockchain is something that starts proving a new global (somehow still science fiction) ecosystem. For this the smart contracts are the building blocks for decentralized applications. 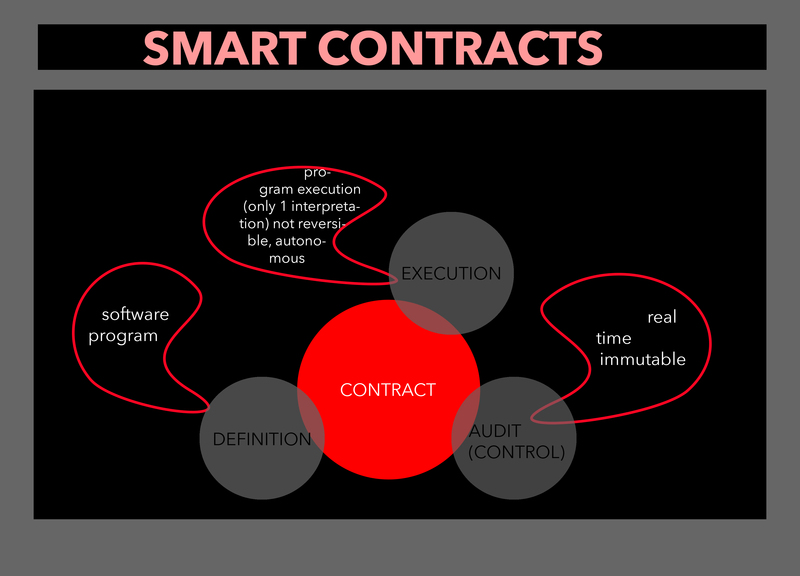 Smart contracts are contracts whose terms are recorded in a computer language instead of legal language. Smart contracts can be automatically executed by a computing system, such as a suitable distributed ledger system. The potential benefits of smart contracts include low contracting, enforcement, and compliance costs; consequently it becomes economically viable to form contracts over numerous low-value transactions. So the question behind Bitcoin and Blockchain is why depend on a central authority when two (or more) parties can agree between themselves, and when they can bake the terms and implications of their agreement programmatically and conditionally, with automatic money releases when fulfilling services in a sequential manner, or incur in penalties if not fulfilled? Proof of stake (PoS) is a method by which a cryptocurrency blockchain network aims to achieve distributed consensus. While the proof of work (PoW) method asks users to repeatedly run hashing algorithms or other client puzzles to validate electronic transactions, proof-of-stake asks users to prove ownership of a certain amount of currency (their “stake” in the currency). Peercoin was the first cryptocurrency to launch using proof-of-Stake. With Proof of Work, the probability of mining a block depends on the work done by the miner (e.g. CPU/GPU cycles spent checking hashes). With Proof of Stake, the resource that’s compared is the amount of Bitcoin a miner holds – someone holding 1% of the Bitcoin can mine 1% of the “Proof of Stake blocks”. According to Bitcoin wiki Proof of Stake is one way of changing the miner’s incentives in favour of higher network security. 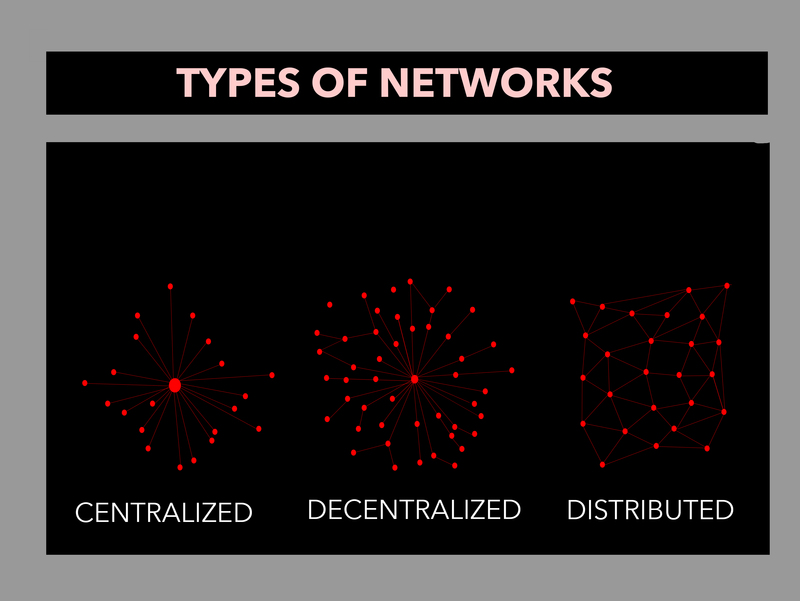 The integration of all the different concepts outlined here, namely, the blockchain, decentralised consensus and smart contracts, enables the spreading of the resources and transactions laterally, in a flat, peer to peer manner, and in doing that,they are enabling computers to trust one another at a deep level. If institutions and central organizations are necessary nowadays as trusted authorities, in the future, a certain number of their central functions can be codified via smart contracts that are governed by decentralised consensus on a blockchain. Namely, due to the blockchain’s role as the unequivocal validator of transactions, each peer can proceed and trust one another, because the rules of trust, compliance, authority, governance, contracts, law, and agreements live on top of the technology. If you fast forward to a not-too-distant future, smart contracts and smart property will be created, dispensed or executed routinely between consenting parties, without either of them even knowing that blockchain technology was the trusted intermediary. “Trusted computing” on the Web seems to be a key tenet of the new crypto-driven paradigm. Our mission is to increase awareness of people about cryptocurrency blockchain technology. Only 6% of the world population knows about “Cryptocurrency.” With the support of our partners, and with the programs and the strong leadership in this organisation, we will be able to help and reach out to the masses like never before.